The industry research report titled, “Asia Commercial Food Display Cabinets Industry Situation and Prospects Research report” is a professional and in-depth study of the current scenario of the Commercial Food Display Cabinets industry. It provides a deep analysis of the industry with the integrity of logic and comprehensiveness of contents to all its users and also, manages to give a basic overview of the industry involving definitions, classifications, applications and industry chain structure along with an analysis for the international market including development history, competitive landscape analysis, and major regions’ development status. Moreover, all the development policies and plans are well investigated along with the manufacturing processes and cost structures in this report. Display Cabinets refer to the storage equipments generally used for safely storing and displaying different food and beverage items and they even maintain the temperature required by various food products, like for example: frozen ready to eat food packets require chilled or frozen conditions such that their quality is maintained. The market is mainly split by (a) product types, with production, revenue, price, and market share and growth rate of each type, further segmented into: Refrigerated Food Display Cabinets and Heated Food Display Cabinets; and (b) by applications, focusing on consumption, market share and growth rate of Commercial Food Display Cabinets in each application which mainly include: Restaurant, Hotel, Bar and Other. The commercial food display cabinets industry in Asia mainly revolves about China, Japan, India, Korea, Saudi Arabia and some other regions wherein the focus is completely on the top manufacturers in the market on the basis of production, price, revenue and market share for each manufacturer. The key players of this industry namely include: IKEA, Hatco, True Manufacturing, Federal Industries, Alto-Shaam, APW Wyott, Displays2go, ISA Italy, Metalfrio Solutions, Daikin Industries, Beverage-Air, United Technologies Corporation, Hussmann, Dover Corporation, Sanden Corporation and Illinois Tool Works. Over the years, a robust growth has been observed in this market which has been able to appeal many local and regional vendors, who in turn offer specific application products to various end-users. However, the new entrants which are being added to this industry are recently facing a strong competition from the already existing prominent players in terms of innovations in technology, quality of the services offered and diligence of international vendors. Though, this situation is projected to ameliorate in the coming years as by then, the new players are foreseen to possess bettered analytics and related procedures; ultimately ensuring a healthy competition in the industry. It has been witnessed that the significance of display of merchandise has well been realized in accordance with the changing world i.e. visually triggered. Now, people tend to buy more of those products which attract them by their look and appearance and needless to say, these food display cabinets play a very crucial role in impacting the consumer decisions in Asia. 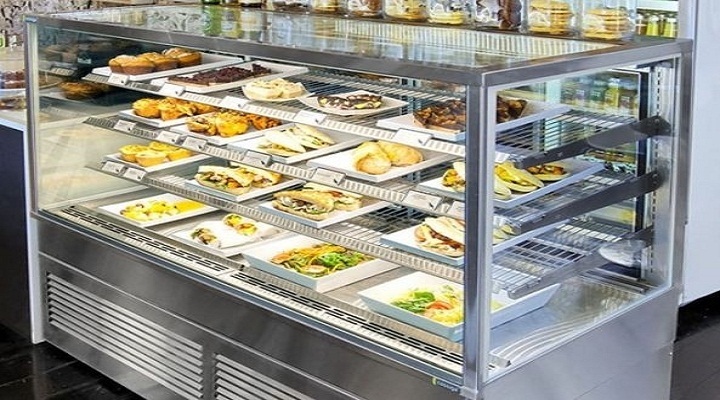 Basically, the mushrooming growth of food and retail sectors in Asia Pacific has propelled the demand for commercial food display cabinets, which possess innovative designs in order to effectively meet the rising demands of the Asians. The factors including: growing population of working women, amplifying expenditure on convenience food, and changing busy lifestyles of consumers; have spurred the overall demand for packaged food and beverages which further has led to an increase in the number of display cabinets required. Moreover, the upcoming opportunities for foreign direct investment are further anticipated to aid the food retail sector in ballooning globally. On proper scrutiny of various prospects, it has been discovered that expansions in the retail store network of Asia coupled with the surges in consumer dispensable incomes; will engender the market growth in the forthcoming years. Even, transition in the lifestyles to being much more hectic than before, as the years roll by, is foreseen to augment the popularity of packed food; especially the frozen food, which is furthermore envisioned to register a valuation of approximately USD 15.3 billion in the global industry by 2024. Geographically, Asia-Pacific region has sustained to be highly promising as far as the growth rates for display cabinets are concerned, owing to the emboldening economic growth in response to which the commercial sector including: retail and hotels, restaurants, and catering industry is rapidly expanding recently; with a motive to produce boomed demands in the long run, more specifically for cold merchandisers. In Asia, China has been the key contributor to the holistic success of this industry and is expected to continue being the same until 2024.